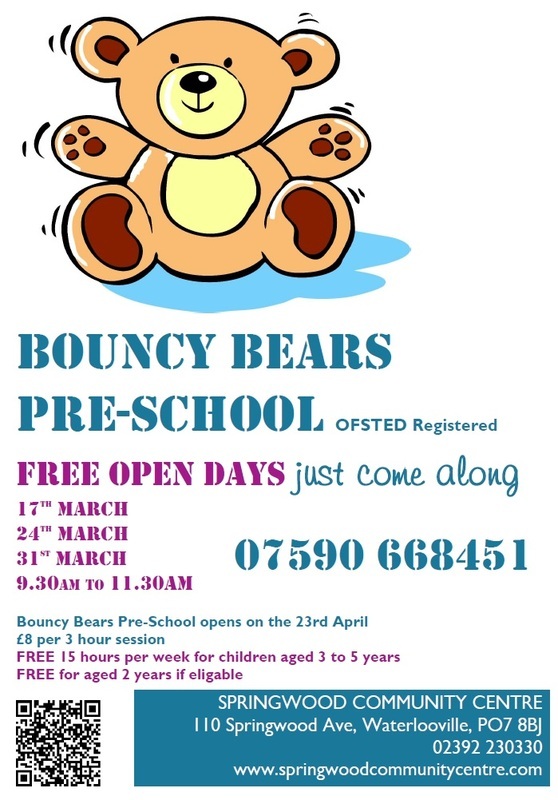 Bouncy Bears Pre-School launches on 2nd April. We are OFSTED registered and are expanding from our existing pre-school in The Pheonix Centre in Purbrook. There are assisted places available for children aged 2 to 5. Children will be able to stay all day if needed and can explore all of our exciting play area indoors and outdoors in out newly created play garden. Come along to one of our open days for free. All are welcome.